Put coarse durum wheat in the center of a marble or stone mortar. Using a boxwood mortar crack it by moving the pestle in a circular motion always in the same direction. 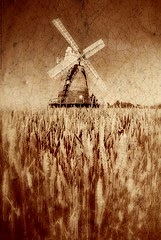 Take care to peel the wheat. Do not grind it. While cracking it, take care to peel the wheat, not mash it, While doing this add water little by little because the water it what peels it. When well peeled, strain it though a rough canvas (such as burlap). Vigorously rub the cloth to extract the peel or bran completely. When clean it little by little two or three times in hot water. Then the night before using it to prepare a dish, boil it or stew it until the the grains burst. Remove from heat and put it in a wooden bowl or deep plate, cover it and let sit overnight. 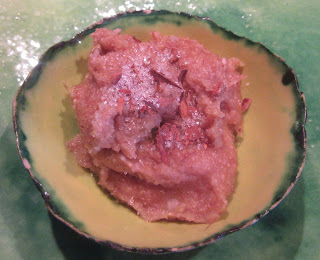 The next morning, put it in a pot and cook it in almond milk that has been strained through a sieve. When it is clean, wash it with two or three [changes of] water, and let the water be moderately hot. Then the night before, cast the wheat in to cook, and cook it until the grains are burst or pressed; (92) and then remove it from the fire; and put it in a wooden bowl or in a deep plate, and cover it well, and let it be there all night until morning. The following morning, put the cracked wheat in a pan. Add almond milk that has been strained through a sieve. It should be noted that two bowls of wheat consist of 3 lbs of almonds and 3 oz. of coarse or durum wheat. Garnish the bowls with sugar and cinnamon. 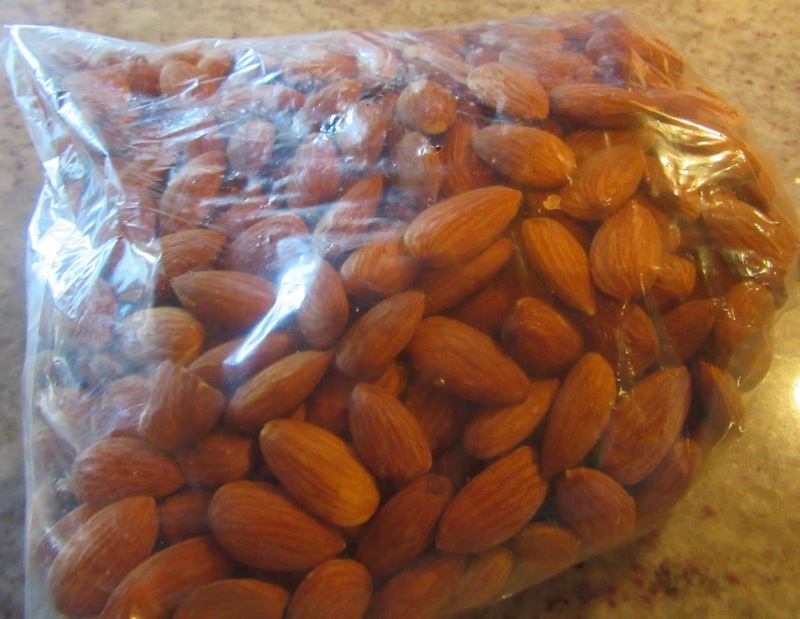 Boil almonds in water and peel. Grind them in a food processor and add broth. Mix well and strain it through a cheesecloth. Heat the almond and add the flour or put put the almond milk and flour in a bowl and heat in a microwave for 1 ½ minutes. Powder with sugar and cinnamon.